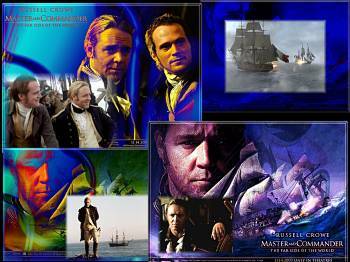 Sixteen images from the movie by Miramax with Russell Crowe. Crashing waves and seagull sounds included. For more movie savers go to JoBlo.com. Download Free Wallpaper from this screensaver! Screensaver copyright, ART-TLC ©.